Last week I ran out of food for my hummingbirds. I went to the store to buy more so that it could feed before getting out of here for the winter. (Before you yell at me for feeding it after September 1st look it up. They need that food to make the flight. If you take your feeder down before they leave they have to get their reserves somewhere else.) Of course the day after I filled the feeder the hummingbird left. They do have a great sense of when to leave. 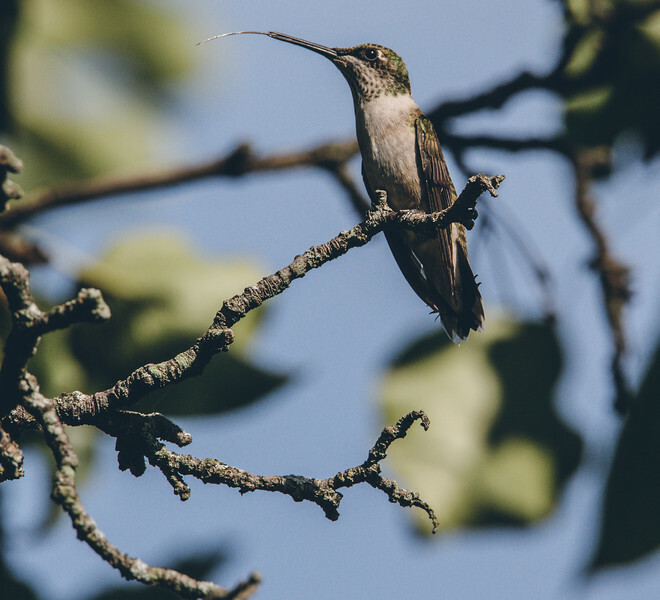 Doesn’t it makes sense that when I finally get the 600mm lens in the mail that the hummingbird is gone the day before? If you follow my photography then you know that it does. The good news is that the tree that it was in needs to come down, and now that it has left for the winter we can take it down. I will have to find something new to have up for it to use next year. What will I post on here if I don’t have hummingbird photos?